Free fuel for thee, but not for me! The Young Americans for Liberty have been quite active at the University of Toledo this semester and their latest is rather creative. Just in time for Halloween, they've decided to host a civil liberties graveyard, mourning the loss of liberties and freedoms. Oh - they're handing out candy, too. TOLEDO, OH—This Tuesday come see The Young Americans for Liberty at the University of Toledo in one of their spookiest activism projects yet, THE CIVIL LIBERTIES GRAVEYARD!!!! The civil liberties graveyard will be filled with the tombstones of our beloved civil liberties and freedoms. Some liberties featured will include our health freedoms, religious liberty, right to privacy and right to bear arms. Along side those freedoms we will have tombstones mourning our losses of sound money and peace with two mystery tombstones. 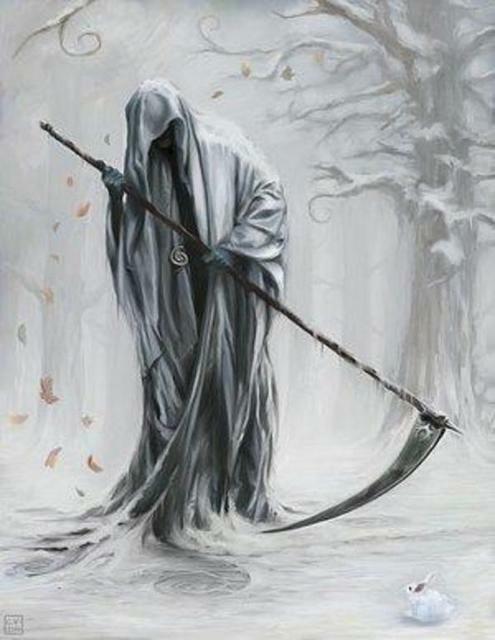 But be careful viewing the stones because the commander-in-chief and chief grim reaper of our civil liberties will be walking around with his scythe looking for more liberties he can take away. To put it more bluntly, we are going to have someone walking around in a Grim Reaper costume with a Barack Obama mask because in legend the grim reaper kills people and in real life our current president, Barack Obama kills our freedoms. Please come take some pictures and take some candy... if you dare!